Our Breakfast Blend combined with the exotic taste of hazelnut and coconut flavors. 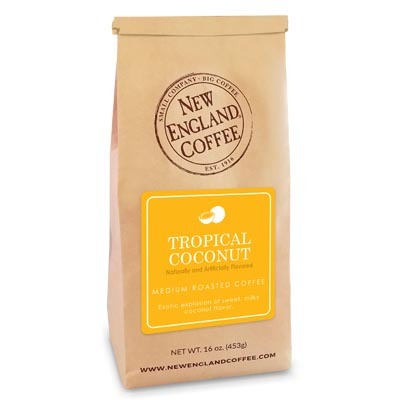 Very good coffee with a tropical twist. Not overpoweringly flavored, so you can still taste the coffee. Tastes great as iced coffee, too. It is an odd pairing, but it works. It smells similar to popcorn when brewing. Wonderful flavor….LOVE IT!! Makes your house smell good ALL day.